One hundred and seventeen parrots have been released back to the wild by Wildlife Conservation Society. Their new home is now found in forests of South Halmahera. Most of the birds were confiscated at Achmad Yani Harbour airport when a person tried to export them illegally. This shipment contained 45 Umbrella Cockatoos (Cacatua alba), 56 Eclectus parrots (Eclectus roratus) and 4 Yellow-backed Lories (Lorius garrulus). All are Indonesian endemic species which are found on Morotai, Halmahera, Bacan, Obi, Ternate and Tidore. The most endangered is the Umbrella Cockatoo, being classified by IUCN as endangered (EN). Yellow-back Lory is considered to be vulnerable and Eclectus parrot is in group of least concern species. Illegal trade reduces the wild population significantly. The confiscation was achieved because of mutual effort of Indonesian agency for nature conservation and police. Also non-government institution Konservasi Kakatua Indonesia and Indonesian Parrot Project participated on investigation. Confiscated animals went through the quarantine and proper veterinary examination so presence of some disease can be excluded. From the total number of 173 birds, 117 individuals were in good health and therefore have been released. The rest of birds need to stay at quarantine until they recover. Before the release all animals have to go through training period when birds are learned to eat natural diet. „Indonesia is home to some of the most spectacular birds in the world and therefore some of the most desired. Often parrots are brutally trapped in the wild and smuggled under conditions approaching torture; the overall process may reach 40% loss of life. All of this is illegal. The Indonesian Parrot Project is an American NGO working since 2001 to both prevent the illegal poaching of Indonesian parrots (especially cockatoos) and, conversely, rehabilitate and release back to the wild parrots confiscated from smugglers. To date, over 1200 parrots, lories and cockatoos have been returned to the wild,” said Stewart Metz, Associate Director of Indonesian Parrot Project for PRWEB. Indonesian authorities have been recently quite successful in confiscating of smuggled animals. 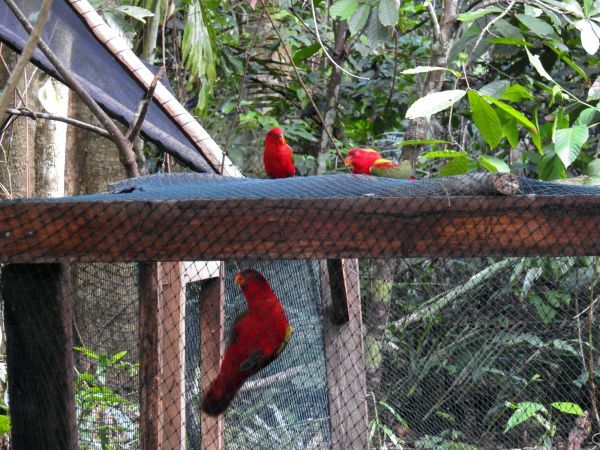 For example, in the last May police confiscated more than 200 parrots in Ranga-Ranga village in North Moluccas. 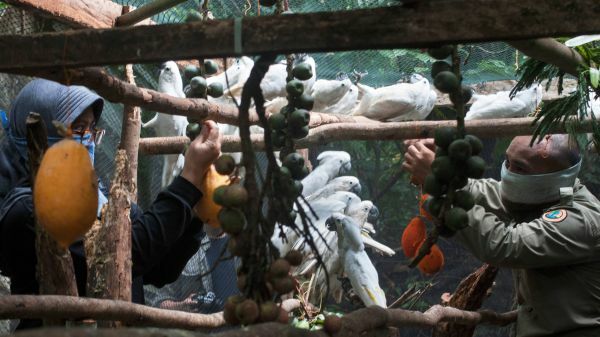 All birds were supposed to be sent to Philippines, 56 Umbrella cockatoos, 159 Eclectus parrots, 3 Yellow-backed lories and one Rainbow Lorikeet were included among saved animals. Indonesia suffers from intensive illegal parrot trade. Just in the capital city Jakarta, there are many bird markets where thousands of wild caught birds are being traded each day.